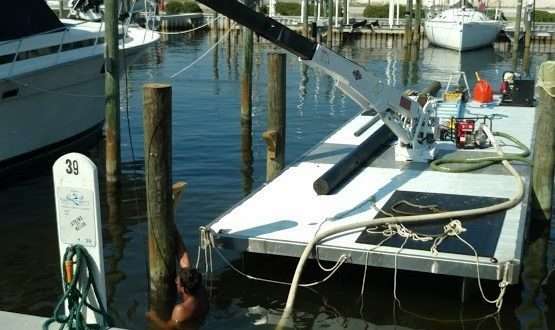 Here is another Dock and Decks custom boat lift and pilings being installed. We sell and manufacture boat lifts and jet ski lifts to meet your specific boat weight and hull. We build custom boat lifts as small as 6,000 lb. and as large as 36,000 lb. Our new addition to our lift selection is our platform lifts. We will custom build a platform lift either free-standing or built into your dock that will match your decking or we can utilize our Sure Step see through decking instead. 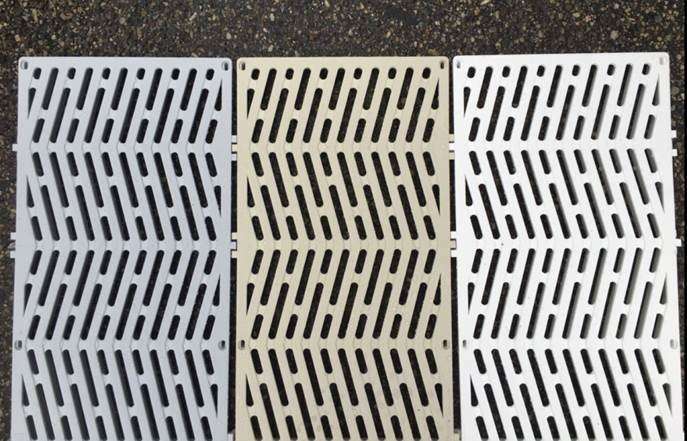 We offer flat plates or our E-drives that provide a stronger and maintenance free alternative. Switches are a thing of the past; a gem remote will compliment your new lift with ease of getting your boat on and off the lift. 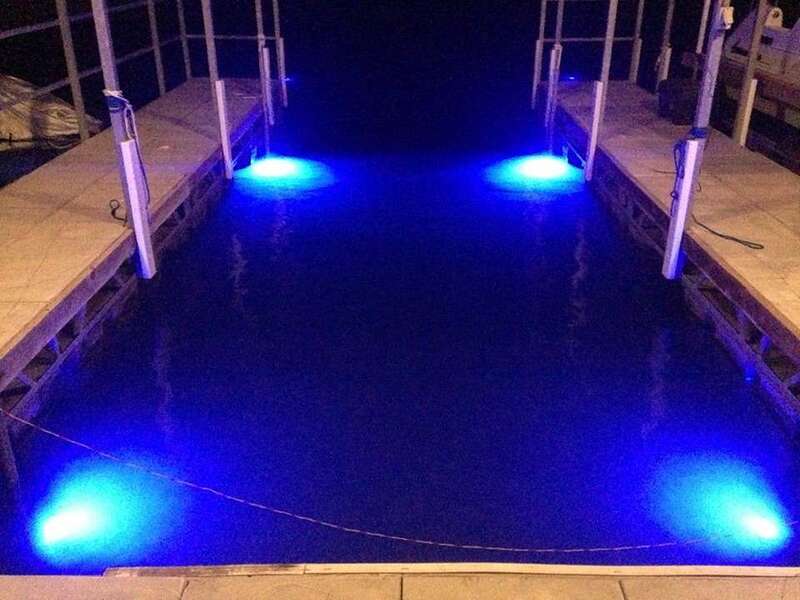 Our boat lifts also come with lighting options. 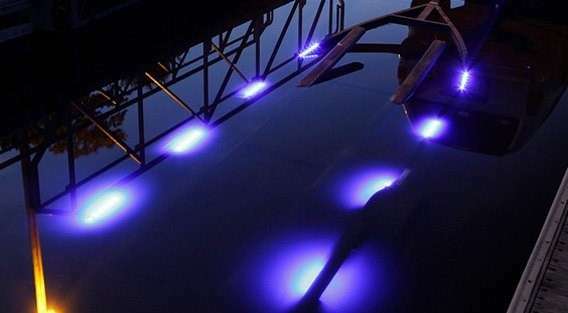 Dock and Decks can install LED lighting on your beams to make trouble free docking at night. Our LED lighting is also remote controlled to simplify use. For those of you with the old galvanized cradles; we will be having a November boat lift specials for replacement cradles or a completely new lift. Remember for a whole new boat lift , boat lift repair or just a service; call Dock and Decks. Share the post "Dock and Deck Install Foley Alabama, Gulf Shores Alabama"